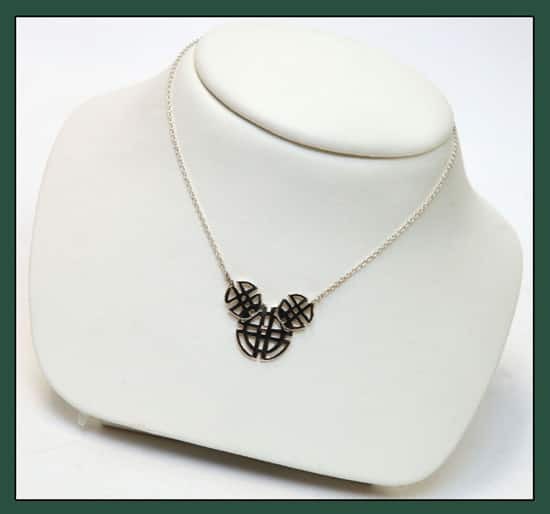 I was recently asked by a Disney Parks Blog reader if we have any Celtic jewelry featuring Mickey Mouse. I visited Sylvie Brumbaugh, product developer for World Showcase, to find the answer. She is responsible for the merchandise found at the United Kingdom Pavilion at Epcot (you may recall our recent conversation about Beatles merchandise). 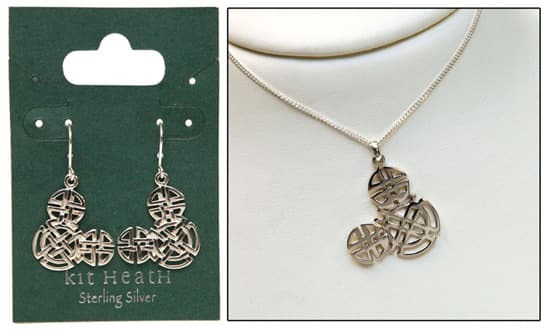 Sylvie was delighted to share that three new Celtic jewelry items will soon be introduced at the pavilion in late August. Sylvie said these designs have been in development for a few years. 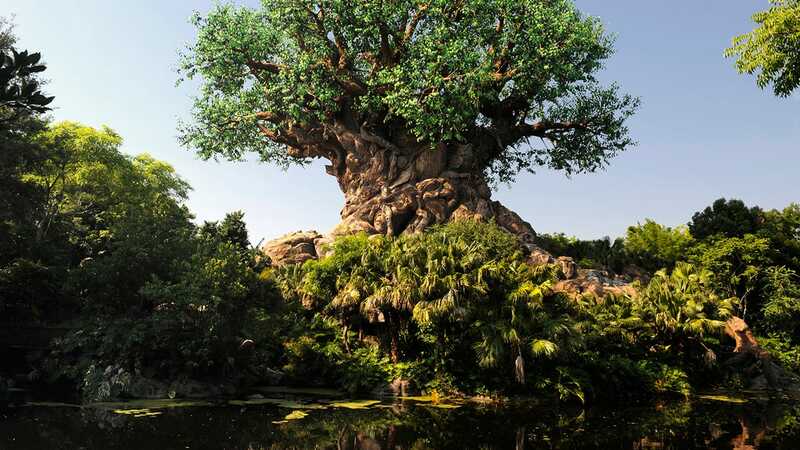 The artwork for the designs was originally created by artists at Disney Design Group. The new items join an expanding assortment of Kit Heath jewelry offered at the pavilion. Once released, they will only be found in the jewelry room located between the Queen’s Table and the Lords & Ladies shops in the United Kingdom Pavilion. They won’t be offered via the Disney Parks online store. 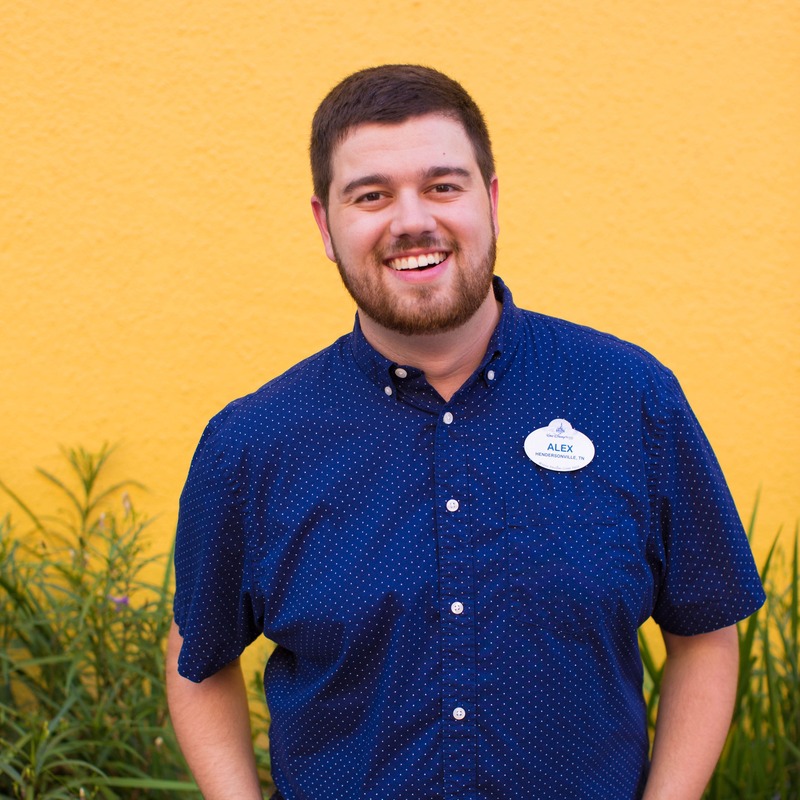 If you are interested, the best option would be to contact our Walt Disney Parks and Resorts Merchandise Guest Services team at 1-877-560-6477 or via email – merchandiseguestservices@disney.go.com. I love the second necklace and tried calling and emailing Disney Merchandise to see about ordering it. Both times, they said that the item doesn’t exist. Is there any information on when the item might become available? @Lisa – That is correct. They currently are not due to arrive until late August. I’m sorry for any confusion. Unfortunately, I do not have an exact date in August at this time. I did receive information about retails today which I shared in response to Jill’s question (#7). Any sense of the price on these? Love these! Have bought several of the Kit Heath pieces at Epcot. Will be buying these if they’re out for our next trip in December! I’ll add another vote for the rings. My husband and I both love Disney (Just celebrated our 15th anniversary there in December) and currently have (boring?) Claddagh rings as our wedding rings. How cool would it be to replace our cheap, back when we were poor wedding rings, with rings that really represented US as a couple. Wendy . . . I found the images by just searching Google. Love each of the pieces! I have to agree with Katie . . . Mickey ring would be amazing! I’d be willing to bet that it would sell out! We’re headed down the end of September. I’ll be buying one of the necklaces! I wish that you could get a version of Elinor/Merida’s necklace from Brave! Now that’s a beautiful piece of jewelry! Love seeing these new jewelry items. Can’t wait to check them out! I can’t wait to go to Disney next month and see (and hopefully get!) one of these. Being Irish I do love Celtic stuff and being me, I love Disney. Count me in as another vote for a Mickey Claddagh ring. I think the ear hat instead of the crown is a brilliant idea, too! Love the idea, Katie! In regards to upcoming merchandise (but off topic of Celtic jewelry), do you know when you’ll have an update on all of the Haunted Mansion halloween merchandise? I checked out that post last night and you had said you had hoped to have an update in July…(Comments had closed for that post..otherwise I would have asked there). Thanks! @Jonathan – No worries. I’ve actually been working on such an article about Halloween. We have received several final samples of merchandise to which I’ve been photographing for the past week or so. Look for an article before July ends. Much of the Halloween assortment will be set in locations around mid-August. Hope this is helpful. I will absolutely be buying these in Oct. I would also buy the ring. Great idea, Katie! Is there any one out there who knows any history of Disney jewelry? I have been collecting it for years. I have about 1700 pieces but would like to find out what else is out there. I have been to a lot of shows and talked with tons of Disney collectors but no one knows anything about Disney jewelry. There have been many different designers and companies who have made Disney jewelry and I would love to find out more about it! 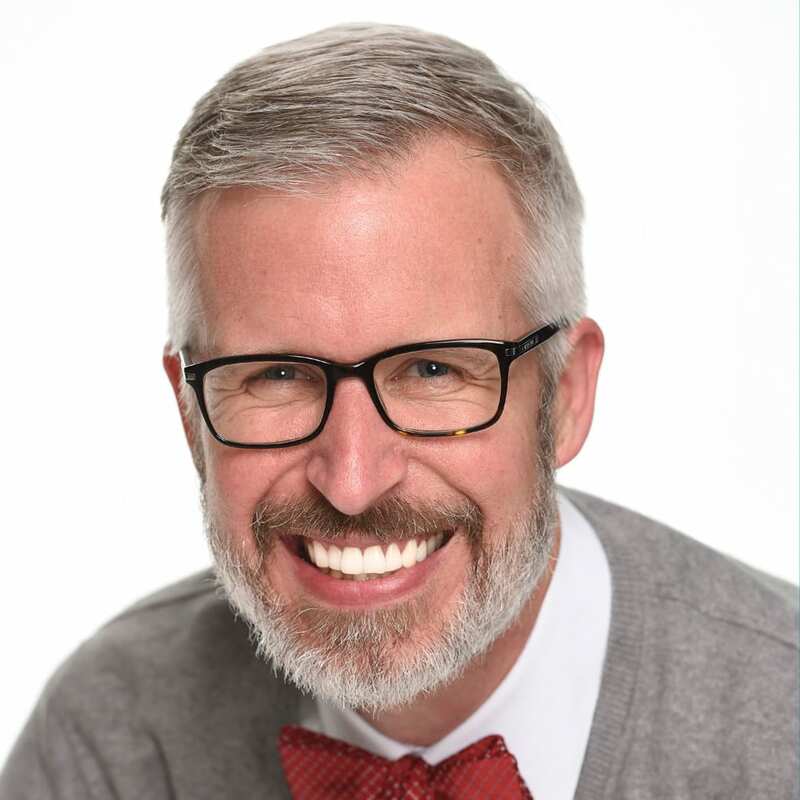 @Jill and Jayson – I just received pricing information about these items today. There will actually be four different items (please note retails are subject to change without notice). Will they be available in gold? @JoAnn – I’ve only seen them in silver at this time. I don’t know of plans to offer in gold. Sorry. @Katie – I’m happy to read your note! I thought you may like the designs. I will share your feedback with Sylvie. I’m so glad to see more merchandise like this at Epcot, things that represent both the country AND Disney World in some way. I think its neat to find items that are unique to the country, like the teas in UK, tequilas in Mexico, or the steins in Germany, but if I wanted an authentic kimono I’d rather go straight to the real Japan. I love that they are now incorporating Mickey or some other Disney-theme into the World Showcase merchandise. Like the new ears I saw during my last visit. One for each country, I love it! @Lynsie – I’m glad you like the shopping at World Showcase. It’s one of my favorite places to shop. And if you are going to Japan, please take me! I so want to go back; it’s been 10 years since my last visit. I’m Irish & French…. I MUST own one of these necklaces!! They are beautiful! !